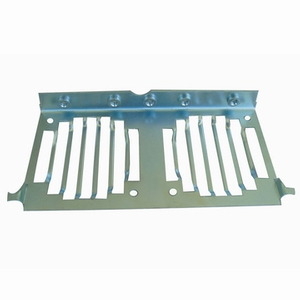 This kind of OEM stamped part was made of metal sheet with PEM inserts for electronic industry. The Zinc plating finishing compliant RoHS.The required stampnig processes are blanking, piecing and forming.The standard packaging is by carton box with wooden pallet. Any OEM sheet metal stamping product is welcomed. Note: We manufacture metal parts in compliance with customer's design. The products are shown here only to present the scope of our manufacturing activities, and are not for sale.